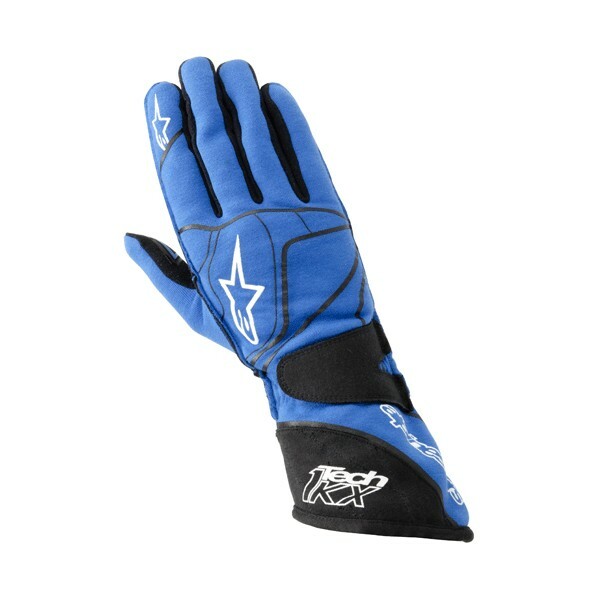 Constructed from lightweight, premium materials in an ergonomic design, the Tech 1-KX is Alpinestars top-of-the-line karting glove and combines superior levels of feel and comfort with the robust chassis required for white-knuckled kart racing. • 2 layer stretch poly-cotton construction provides the optimum combination of weight, feel and comfort. 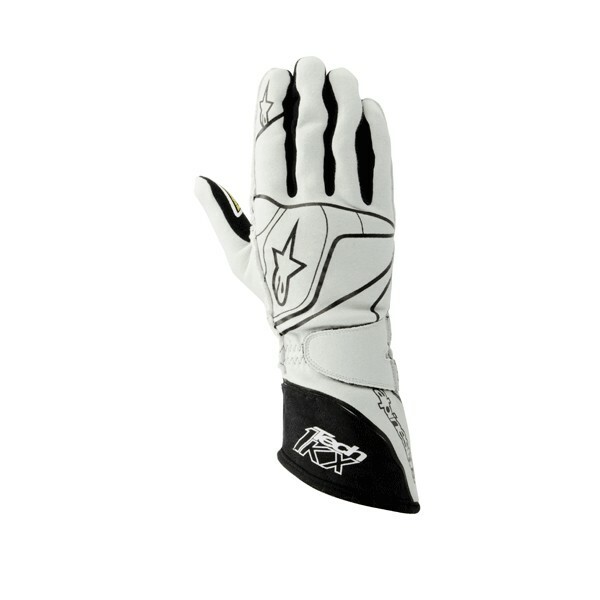 • Grip treatment on palm designed with an innovative ‘slash dot’ pattern for improved feel and control. 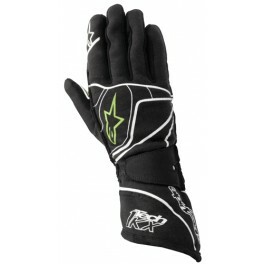 • Alpinestars exclusive internal 3D injected pattern actively improves comfort and grip while driving. 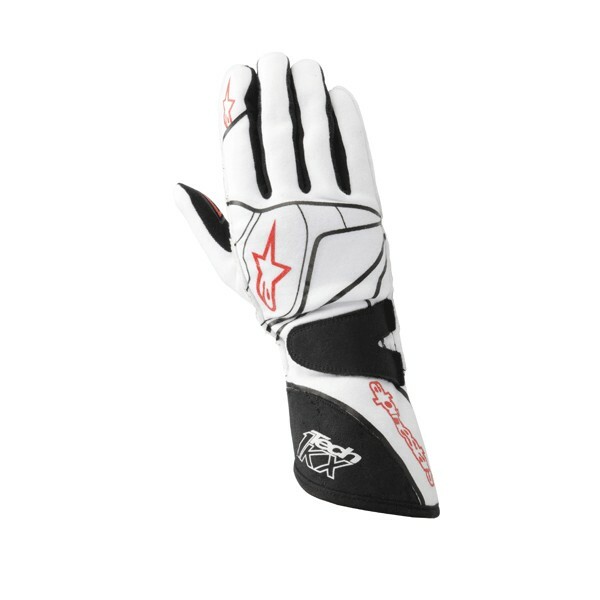 • Strategically positioned, textured synthetic leather patches and silicone printing greatly enhance feel, grip and vibration dissipation. 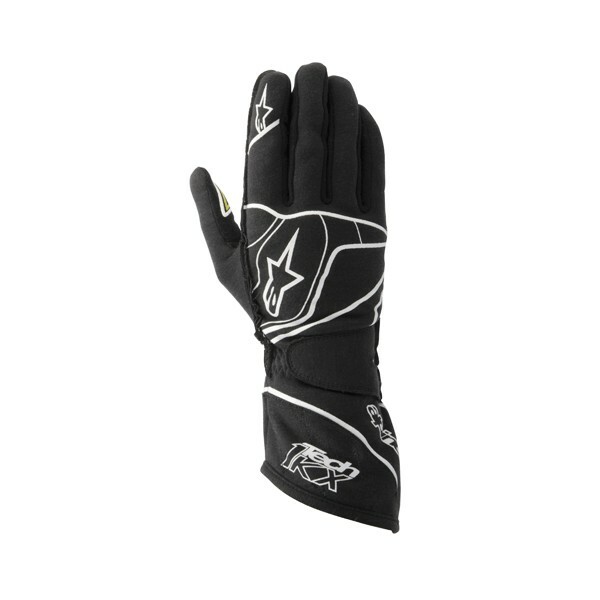 • External seams provide superior comfort and prevent any excessive pressure points forming on the hands while driving. 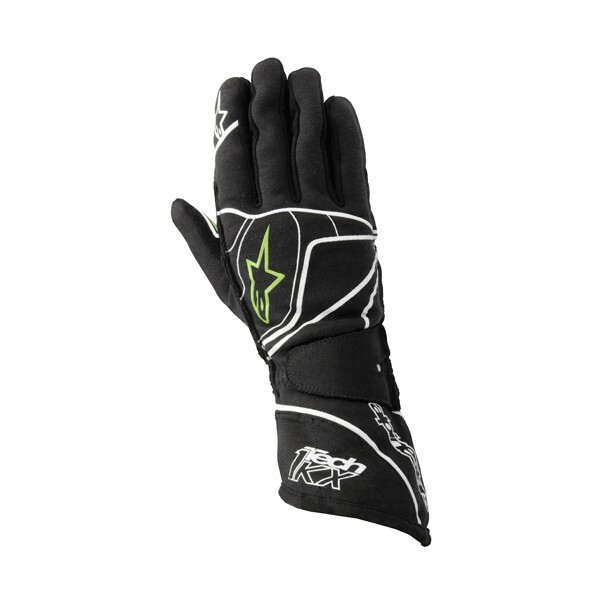 • Pre-curved finger and palm design aids fit while reducing material bunching when gripping the controls. • Revised thumb construction for superior comfort. • Synthetic leather forchettes help prevent material on the fingers twisting while driving. 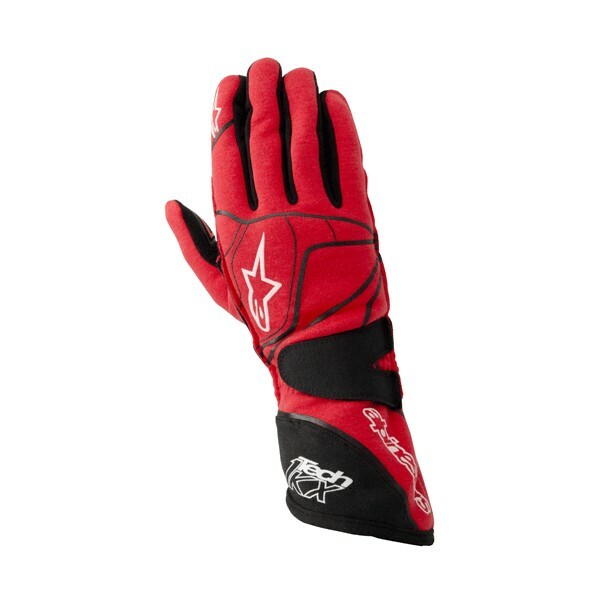 • Alpinestars exclusive cuff opening design with distinctive black Velcro® closure flap ensures easy and secure fitment.